Happy Mother’s Day to all the moms reading. Hope your day is wonderful. I enjoyed celebrating with my Mom & family yesterday. DS (with some help from my Mom) gave me a gift certificate to Sand’s Fabrics in Pampa, one of my favorite shops. Everyone there is so nice. 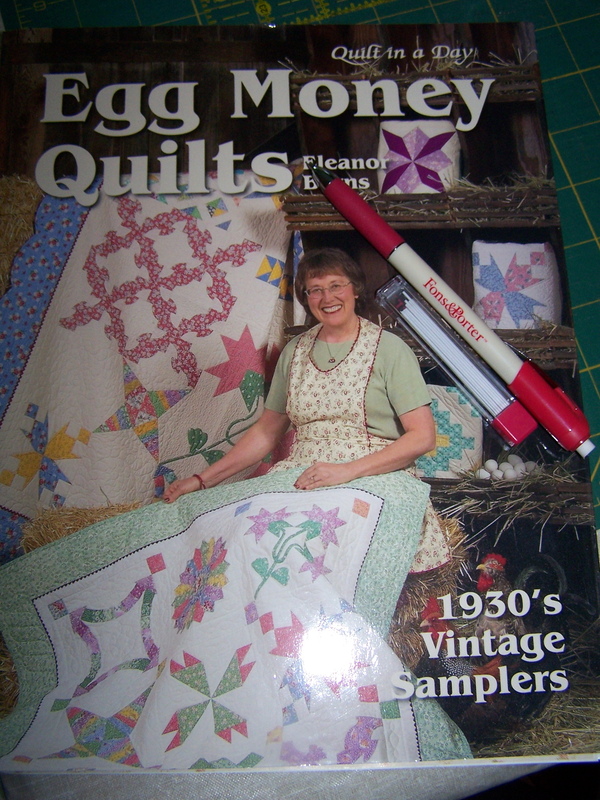 I did not buy any fabric with my certificate, but another Eleanor book I have been wanting. And, I bought myself one of the Fons & Porter marking pencils. I tested it on a scrap last night and I think I am really gonna like this marking pencil. I quilted up four more yards of fleece fabric this week, so that moves out of my stash! Yippee! I have several more yards of fleece in my fabric closet and it takes up a lot of space. I share some flowers from my front yard with you for Mother’s Day! I just tried one of those marking pens last night, and I want to get one. Happy Mother’s Day! Your iris are beautiful! 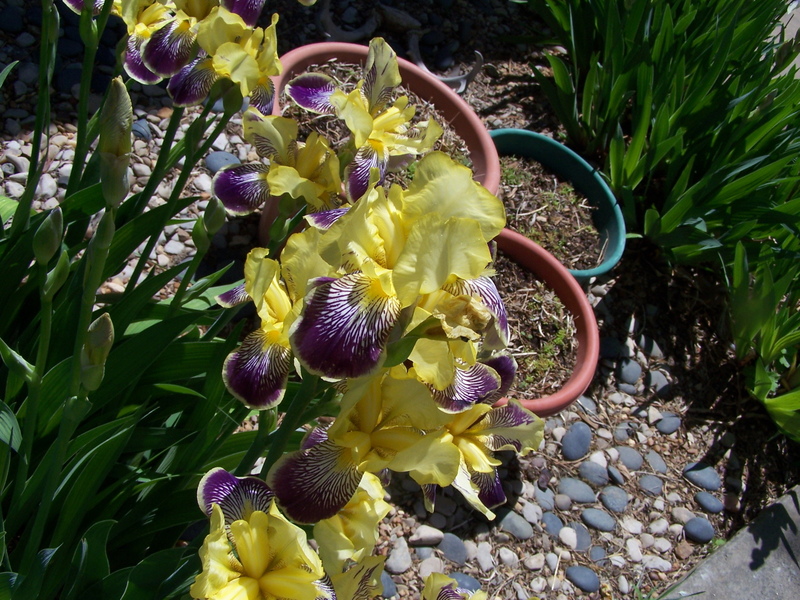 I used to have a huge collection of irises with over 50 varieties. They got some sort of fungus and I lost all of them. It was a bummer but I couldn’t be outside enough to care for them anyway. Now I jsut enjoy everyone else’s! That’ smuch easier! LOL! Happy Mother’s day Randi. I love your flowers and your new Eleanor book. How cheerful the flowers look, they even match your new book! That book is one of my favorites!! You will enjoy it!! LOVE the flower pics!! So very cheery!! Happy Mother’s Day Randi!! 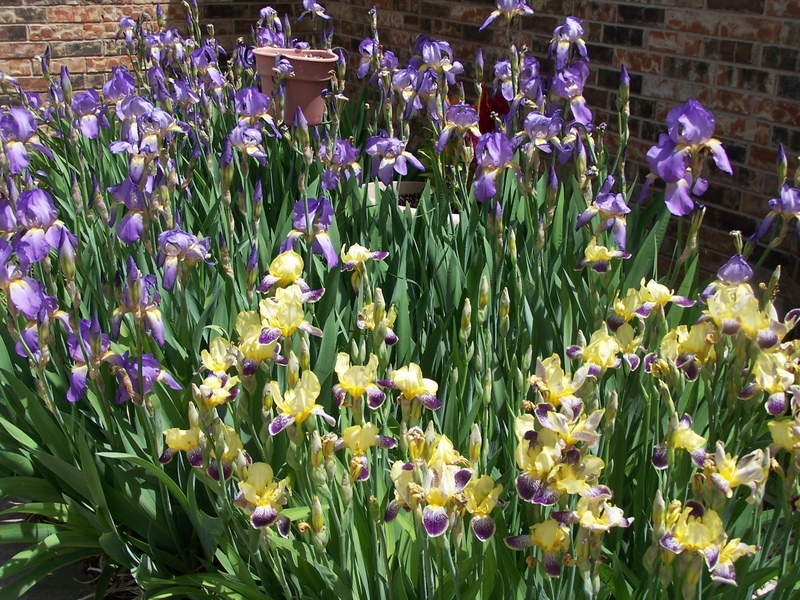 I love your mom’s irises – especially the yellow and purple ones – sure would love one of those in my garden. Happy Mom’s Day .. and thank you for sharing your beautiful flowers. Glad to see you spent your gift certificate wisely! One of my favorite books, too. Beautiful flowers. Glad your Mother’s Day was wonderful! Iris are a favorite of mine. I have a few here but not as many as I would like………. Fabric store for Mother’s Day, you lucky girl! The iris are breathtaking. Wish I had these in my yard! Love your flowers! I so miss all the spring flowers…Your iris’ are to die for! 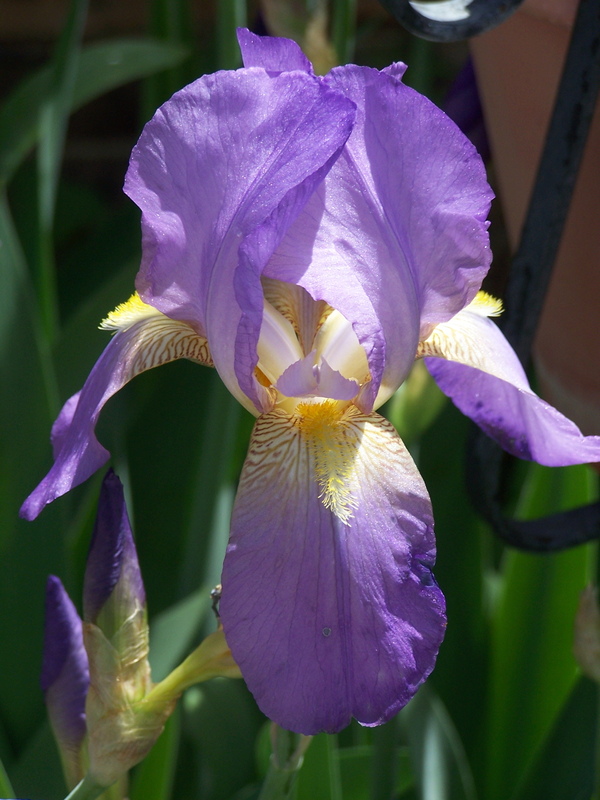 We ought to place entries in the North Plains Iris Society Mother’s day exhibits next year. Wow, your iris’ look great. They sure brightened my day. And your DS did a great job on the mother’s day present too. I am glad you had a great mother’s day.